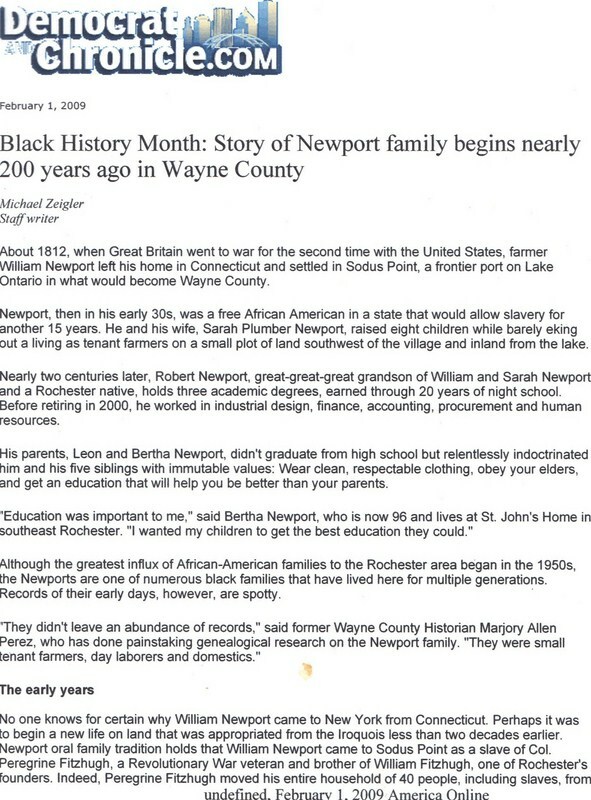 The Newport family is perhaps the oldest free black family in Sodus Point. 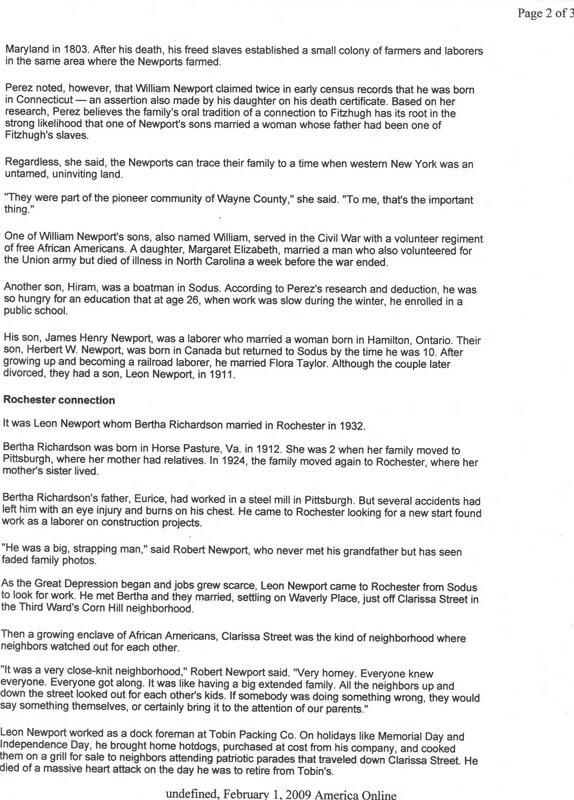 Here is their story as told in the Feb. 1, 2009 edition of the Rochester Democrat and Chronicle. A special “Thanks” to Glenn Proseus for sharing! 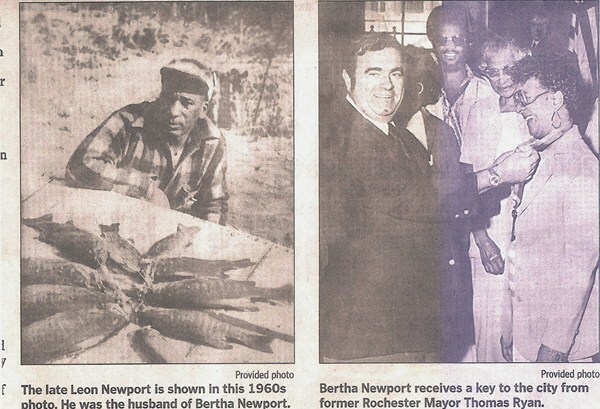 Bob Jones remembers: Henry Newport, a good friend of everyone in Sodus Pt. & a member of the SPFD. This one is for you Gail W. This was taken on one our trips to see my sister in Virginia. 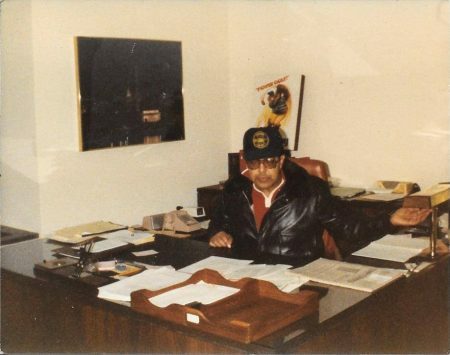 Henry gave Mark, Jeff & myself a tour of Washington DC, his office & home This was taken I believe in the late 70’s. He held a very high position for the govt. Henry passed away several years ago. I am sure Gail can add more to this. Gail Wackerle remembers: Henry was a love. Their wasn’t one person that could say one bad thing about Henry. Where ever he went , he was always welcome. Henry, really knew he was colored. He just blended in with everyone,& was never treated different. Henry , & our family were close. He loved baked goods. I swear he could smell in the air. Ma always saw that Henry got part of whatever she made. Loved banana bread, all cakes, cookies, especially, chocolate chips. Ma, even sent him care packages in college, & for yrs in the military. Whenever , he came home ,it was a pleasure to be able to just hug kiss him to death. Just one super kid. We never had situations at school,with any blacks. Never. As far as that, we were all one happy family. We went to movies, out for snacks, dancing, eat at others homes. Spent the night. Color was never a problem. I wish a lot of the people of today could just see their is no difference in 1 another. We all have the same blood in our veins, we are all Americans, & it’s easier to go through life knowing ,every one has a heart. Learn that many generations of foreign folks, came to this country, they fought & believed in America. Let’s all try & think of Henry;no discrimination there. Why can’t the world be like that again?? 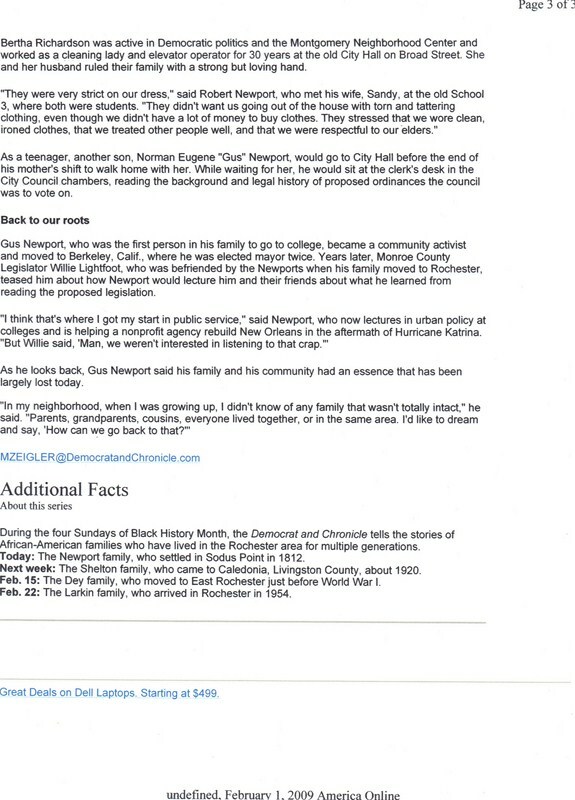 Henry Newport will be forever remembered. Super guy & a hero in every way. Rest in peace knowing all your friends ,we’re glad to have you in our lives. Virginia Johnson DeFisher remembers: Henry and I graduated from high school the same year. He was everyone’s friend and had a great sense of humor. I admire him for all that he became. Michael A. Stell remembers: I never knew Henry personally, but I remember my sisters and their friends always speaking highly of him. 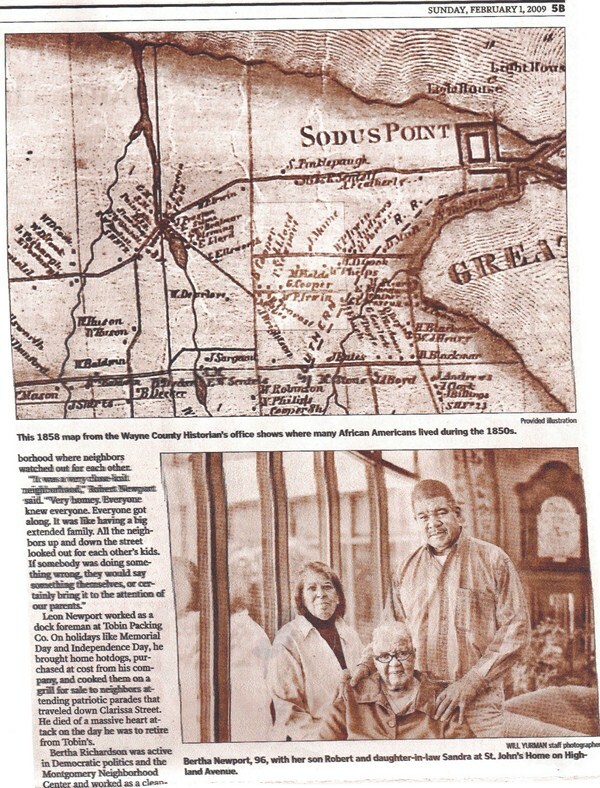 I remember his classmates at Sodus Central School always including him in their school and social functions. I am certain that Henry will be missed by many and remembered as someone who made the most of his life and contributed greatly to our world. RIP, Henry.